If you have a little girl that loves dolls you probably have more baby dolls than you have room for cribs. This brilliant Ikea Hacker transformation turns a couple of shoe racks into a fun doll bunk bed. Just in time for Christmas you will have lots of room for all the dolls to sleep peacefully. 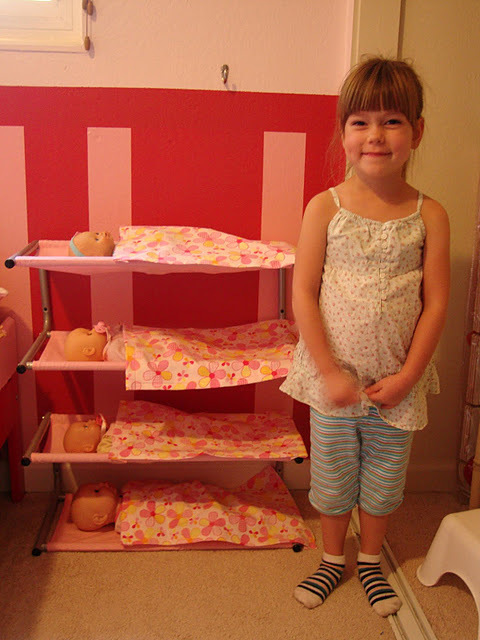 You can check out how turn the Ikea Lustifik shoe rack into this doll bunk bed over at Ikea Hacker.